Ericsson’s earlier RBS lineup combined base stations for indoor and outdoor installation with options for single-sector and multiple-sector configurations. They continue to be added to bolster networks because of their reliability, energy efficiency and their continued support by Ericsson. Improve your network and your bottom line when you buy Legacy Refurbished RBS 3000 base stations — without sacrificing quality or security. We bring any used Ericsson RBS 3000 back to OEM standards for quality and reliability so you’re able to get the most out of each network improvement while maximizing your returns. The Ericsson RBS 3000 line rose to prominence around the year 2000 by offering a variety of macro, mini and micro radio base stations designed to work with second-generation mobile systems. 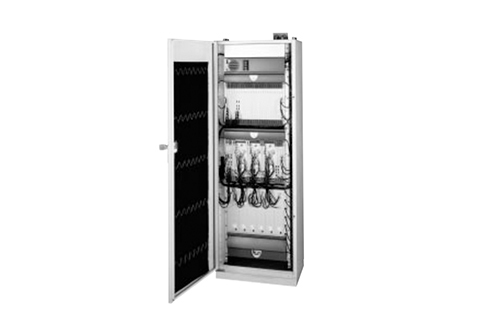 The used, legacy Ericsson RBS 3000 product line focuses on specialty hardware that is designed to support dual-band as well as higher-order sector configurations, typically in a single cabinet deployment. Every macro unit is designed to work across a variety of services, with RBS hardware and software prioritizing flexibility. This allows your used Ericsson RBS 3000 hardware to work across a wide range of deployments and networks. Most traffic situations can be adjusted to and reflected in your deployment. In this family, indoor macro RBS are designed to extend to support three sectors and four carriers, or six sectors and two carriers. Outdoor RBS offer a little more variety with configuration options and have high capacity and coverage. The cabinets integrate the power supply and most-needed components, so you’re able to have as contained a unit as possible in most cases. This package is designed to provide the coverage of a microcell, but in the packaging and form factor of the microcell. The main unit performs system-level diagnostics and provides system timing as well as power controls, and handles softer handovers. The layout and deployment ensures easy, rapid total installation with units that can be placed several kilometers apart. The main unity and RRU can each be carried to a rooftop by hand, ensuring safer deployments. Plus, the significant power savings compared to a macro RBS means you’re working in more spaces with friendly equipment. There’s an option for almost every deployment, and Worldwide Supply can help you select the right one for you.